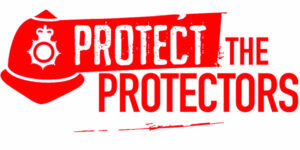 The Assaults on Emergency Workers (Offences) Act – the #ProtectTheProtectors Law – has come into force. It creates a new aggravated offence of an assault against a member of the emergency services and doubles the maximum sentence from six to 12 months. John Apter, Police Federation of England and Wales Chair, said: “This change in law is the right thing for our dedicated emergency workers – it makes clear that attacks against them will not be tolerated and that those who cross the line will be dealt with robustly. “And although the legislation is now in place it means nothing unless it is used by the Crown Prosecution Service and the courts, so I call on them to make full use of these new powers. “Whilst we acknowledge that we did not get everything we wanted from this new Act – we feel sentences are still not as strong as they need to be, this is a significant step forward in the right direction and we will continue to make the case for a stronger deterrent, for a wider roll-out of Taser, body-worn video and spit and bite guards and the appropriate levels of staffing. “I hope that this legislation will also help to change a culture which has developed within society that it is acceptable to assault an emergency worker.